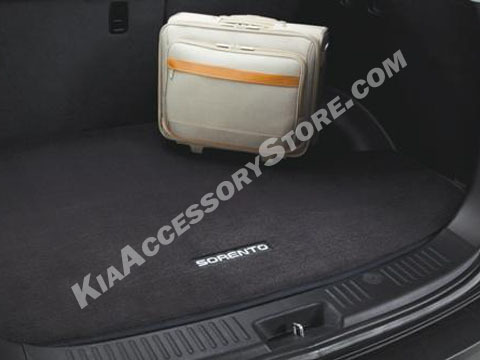 This trunk mat is custom-cut to cover the exact contours of your rear cargo area and made from dense nylon fiber carpeting with a water-resistant rubberized under layer and fray-resistant stitched border. Trunk Mat provides complete moisture and fade resistance that’s a joy to touch. All the while, your cargo nestles into the thick fiber for stable transportation. Picture is used for reference only. Does not fit 2010 model with non folding back seats.